Down Alternative Reversible Comforter Just $55.99! Down From $160! You are here: Home / Instagram / Down Alternative Reversible Comforter Just $55.99! Down From $160! Hurry over to Macy’s where you can score this Down Alternative Reversible Comforter for just $55.99 down from $160 when you use promo code FRIEND at checkout PLUS FREE shipping for orders $99 and above! Cozy up to plush textures and superior warmth. 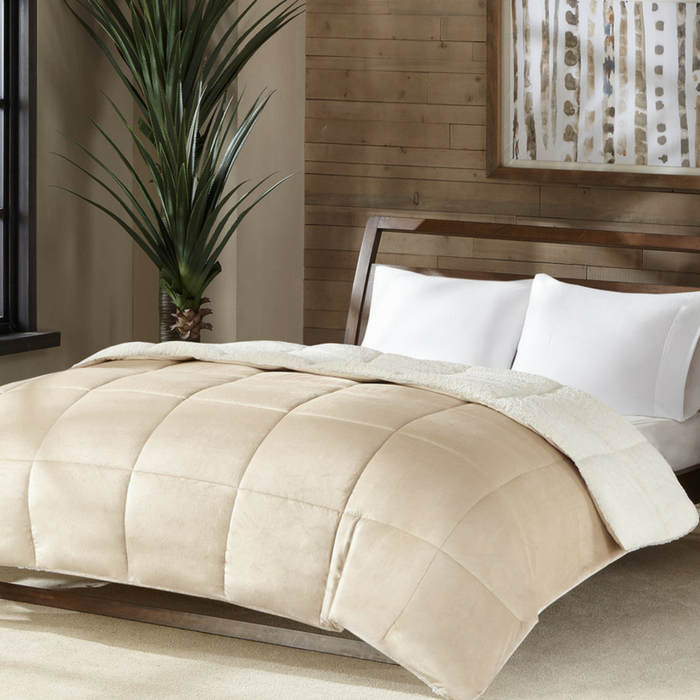 This Premier Comfort reversible down alternative comforter boasts a luxurious micro velvet that reverses to a soft ivory sherpa back. A sewn-through box construction keeps fibers in place for an even layer of warmth. Perfect for the holiday season!